Cabinet photograph of two young children, presumably siblings and presumably with the surname Johnson. 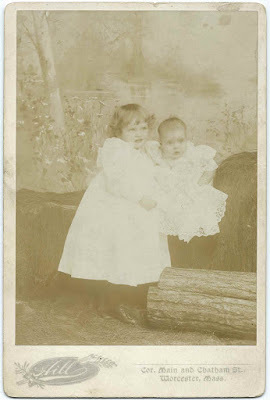 The photograph was taken by the Hill studio at the corner of Main and Chatham Streets, Worcester, Massachusetts. The reverse of the photograph has handwriting, some in ink and some in pencil. 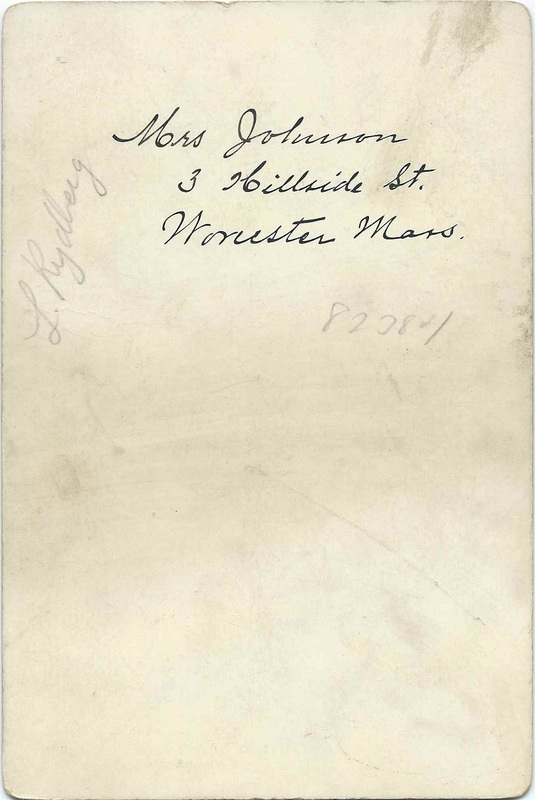 The inked portion: "Mrs. Johuson, 3 Hillside St., Worcester, Mass." The penciled portion: "L. Rydberg". It's likely that Mrs. Johnson was the mother or grandmother of the two children. Perhaps L. Rydberg was her maiden name. If the names Johnson and Rydberg in the Worcester, Massachusetts, area are significant to you, please leave a comment or contact me directly. In my research, I noticed many Worcester residents had Swedish ancestry.